Quorn Stone are leading experts in the import and retail of natural stone and porcelain tiles. Established in 1995, Quorn Stone has built an exceptional reputation for high quality stone flooring and outstanding customer service throughout Leicestershire, the UK and overseas. 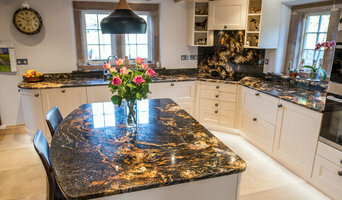 We work closely alongside interior designers, property developers, kitchen companies and architects - providing premium stone at competitive prices. 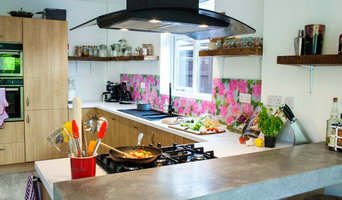 Splashbacks were design, function and expectations are met - Emma creates glass splashbacks which work for you and your home, whether it's about completing a look or an exquisite centrepiece for when you entertain. We have three collections the floral 'Up the garden path', the diverse 'Maple' and the capsule 'Pineapple Sticks'. For those looking for something personalised we offer a 'Bespoke Design Service'. 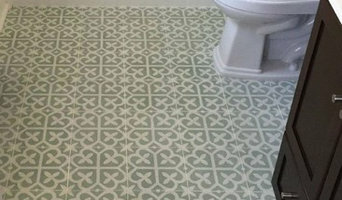 At Cement Tile Shop Europe, we have a huge passion for beautiful encaustic cement tile. Cement tile is a great way to show off your personality and style in any residential or commercial application on both walls and floors. A leading supplier of handmade cement tile, we offer in-stock patterns and solid colors as well as special order material. Since all patterns are handcrafted, each design can be customized and created to your exact color specifications. A Lincoln based Tiler who prides himself in providing a high quality finish! Specialising in all types of tiles in all types of applications J C Tiling will make sure that whatever you are having tiled, whether its your Kitchen Floor, Bathroom, your Wet Room or even your Swimming Pool, it will be prepared and completed to the highest standard using the leading brands of adhesives and grouts. Based in Leicestershire, we specialise in designing and importing premium quality Natural Stone, Porcelain, Quartz & Mosaic Tiles. Our products are brought in direct from source and only sold online, this means that we can bring you the very latest products at prices much lower than high street retailers. We strive to keep our portfolio fresh and modern and only stock the very latest on-trend products. By extending and adding to our collections we aim to give you plenty of choice, in both style and price. We hope you find the ideal products for your home or project, why not take a look at our contemporary Slate Tiles, stunning Premium Granite, and Sparkling Quartz tiles or on-trend Split Face Mosaic, we are sure you’ll find the perfect solution. If your looking for a professional tiler, then you have arrived at the right place. We have tiled Houses to Hotels, specializing in both residential and commercial tiling. We can project manage the entire job or simply provide tiling services. We also provide free Bespoke designs and supply specialist tiles depending on the project. All our work is Guaranteed and we are fully insured. We also provide Free quotations. Situated on the border of Derbyshire and Nottinghamshire, our stunning showroom on Cromford Road, Langley Mill is part of the re-development of the old Co-op building, an iconic landmark of the town. The area was renowned for industry and with lots of new businesses moving back to the area, it is starting to be like the days of old! We are ideally located just off the A610 for easy access and just 10 minutes of junction 26 of the M1. So whether you are looking for ceramic, porcelain, glass, natural stone or mosaics, we are dedicated to bring you a stunning range of tile types to meet your tastes. We also offer an expert tiling and bathroom fitting service, so don't hesitate to visit our showroom or contact us today to discuss your requirements with one of our friendly tiling specialists. Bring the kids along too, we have books and games for them whilst we discus your project! Independant Master Tiler Bob Eastwood is based in Nottingham. Bob is an expert in the fixing of wall, floor and ceiling tiles and is a master of all man-made and natural stone products including, marble, slate, travatine, limestone and terracotta. Bob has completed numerous contracts and has over 23 years experience in the trade. Bob's work extends from the smallest kitchen or bathroom to much larger corporate contracts. Wall and Floor Tiling contractors for over 30 years, with the largest selection of tiles in our showroom in Rutland. Supply and fit to national house builders, main contractors and domestic projects. Open to trade and public, feel free to visit our showroom. We're creative, patient & friendly. Passionate about tiles and our customers. 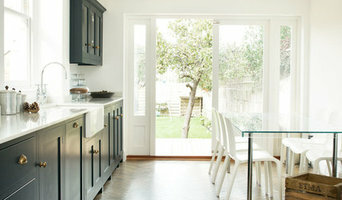 Huge choice of tiles, friendly and relaxed approach with design flair & enthusiasm providing a one to one service. We are a family run business and are specialists in supplying and fitting natural stone & porcelain tiles. Our beautiful showroom is set across 3 floors based in Higham in Derbyshire. At Higham Stone and Tile we work closely with our suppliers to offer the best quality products at the best prices for our customers. It always makes us smile when we see our customers happy . We like to offer products that are unique & give that something a little different at affordable prices. We offer a professional and friendly fitting service with 15 years experience. At Higham Stone and Tile there is something to suit any design, we care about our customers and enjoy working closely with them to create their desired look. Worktop installers and tilers in Nottingham, Nottinghamshire can advise on the best tiles and materials to use based on your tastes and requirements and then will be able to install them to a high finish in your home. Kitchen worktops are a major part of your kitchen – you need surfaces that will be scratch and heat resistant, but at the same time still look attractive and work in harmony with your kitchen units, splashback and other kitchen elements. A worktop manufacturer and installer will be able to fit new kitchen worktops or replace old ones with ease, helping you to pick out the best kitchen worktops for your home first. Tiles are so versatile that they can be used in kitchen splashbacks, floors, bathroom walls and as decorative designs elsewhere in the house. Tile manufacturers and tilers in Nottingham, Nottinghamshire will have a great range of tile designs, sizes and materials to choose from and will help you to pick the best tile for the job. Laying tiles may look easy sometimes, but one badly laid tile can ruin a whole floor or wall, so it’s really best to leave it to a skilled tiler. With Houzz you can find Nottingham, Nottinghamshire tilers, tile manufacturers and worktop installers near you and check their previous projects, reviews and ratings to decide if they’re a good fit for your home design project. Why should I hire worktop installers or tilers in Nottingham, Nottinghamshire? Perfectly laid tiles and worktops can look simple and seamless once finished, but installing them is far harder than it looks. It really pays off to hire a Nottingham, Nottinghamshire tiler or worktops professional as they will have the experience and expertise to finish the job efficiently, quickly and to a high quality. From metro bathroom tiles and porcelain tiling, to kitchen worktops, splashbacks and travertine floor tiles, there will be a tiler or worktop professional who can install the surface you need for your bathroom or kitchen design. There will even be tile and worktop repairers to help you if you need a quick fix-up to your surfaces. Tile manufacturers, worktop professionals, and often tilers in Nottingham, Nottinghamshire themselves, will also be able to advise you on the right materials to use if you’re not decided on one particular type. They can tell you the advantages of the different flooring, wall tiles and kitchen worktops so you can make the right decision for your home. If you’re after a bespoke tile pattern, mosaic or mural created and laid in your house, this will also be possible with Houzz as we list such a wide range of tile manufacturers, worktop professionals and tilers in Nottingham, Nottinghamshire. It could be the case that you can find a design or construction company that can offer tiling and worktops as part of their work, whilst also undertaking other projects for your house redesign, so it’s worth looking out for these professionals, too. Here are some related professionals and vendors to complement the work of tiles, stone & worktops: Interior Designers, Architects & Building Designers, Main Contractors, Kitchen & Bathroom Designers, Design & Build. Find a tiler or worktops professional on Houzz. Narrow your search in the Professionals section of the website to Nottingham, Nottinghamshire tilers and worktop installers. 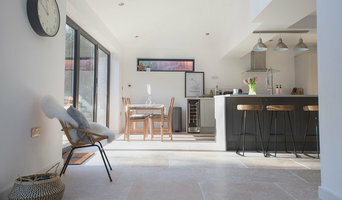 You can also look through Nottingham, Nottinghamshire photos to find projects you like, then contact the contractors or tilers in Nottingham, Nottinghamshire who worked on the tiling work or kitchen worktops.